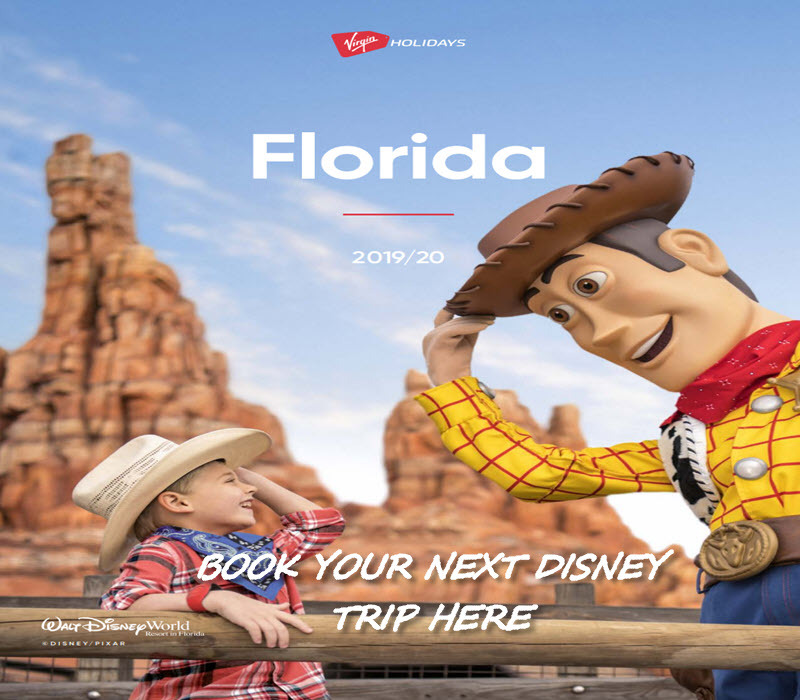 Discovery Cove in Orlando is an absolutely fabulous place that I highly recommend, where you can have loads of fun, you will have an amazing experience and get to interact with nature at its best. In this post you’ll learn all about this amazing place. Discovery Cove has a lot of side attractions such as the Aviary which is a great place for kids, they get to play with colorful birds, learn about them and even feed them. Beach lovers can have a relaxing time on the beautiful Pristine beach. Just sit back and enjoy the sunshine or take a dip with some tropical fish, there is always plenty to do. They provide a beach environment to accommodate every guest’s needs, it truly is paradise. This park sells out fast so if you are thinking of going just make sure you book as far in advance as you can. The park limits the number of guests to 1,300 per day so it doesn’t get overcrowded and you can enjoy your day. Visit Discovery Cove today and explore real fun that creates unforgettable memories. What’s included in my all-inclusive day at Discovery Cove? This is a park owned and operated by SeaWorld Parks & Entertainment, located in Orlando, Florida. It is a sister park of SeaWorld and Aquatica where guests can interact with a range of marine animals including bottlenose dolphins. Soft drinks, water and alcoholic beverages are included throughout the day and All meals and snacks are freshly prepared for your enjoyment. Discovery Cove is one the best Florida attractions, it has been in open for just over 18 years and since then has been providing excellent service and wonderful memories for every member of the family. Snorkeling at Discovery Cove is one-of-a kind experience where you can relate with the bottlenose dolphins and sharks. The experience is so appealing as guests have the opportunity to observe underwater life in a natural setting without the complicated equipment and training required for scuba diving. There is an underwater walking tour called SeaVenture which will be the highlight of your visit, you will be wearing a dive helmet and be given a walking tour of the grand reef but watch out for the sharks. The underwater walk is safe and it does not require swimming experience, you can breathe easily and feel safe in your dive helmet. 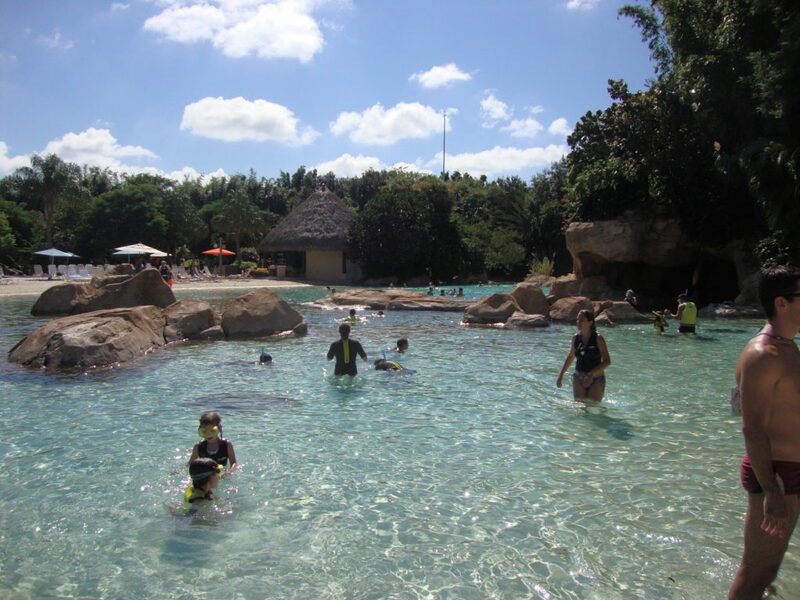 Freshwater Oasis features an adventure through clear springs, covered by a rain forest canopy to both swim and relax while looking for creatures on land and sea. If you want to experience a tropical Paradise while in Orlando then the freshwater oasis is the closest you will get. The Grand Reef has a white-sand beach, palm-lined island and underwater grotto with reef sharks, moray eels and lots of other tropical fish. Make sure you look out for hidden grotto’s and take the paths to the reefs island. Activities range from snorkelling with sting rays to crossing a rope bridge over a shark-filled lagoon. The dolphin lagoon was the highlight of our visit to Discovery Cove and we have booked up again for when we go back in 2019. You will have the opportunity to swim with some fantastic bottlenose dolphins. There will be a trainer to help show you how to swim and hug your new best friend. you will be in a small group then you will walk into shallow waters and be introduced to your dolphin with kisses and hugs. Then you will get to know your dolphin better by going on a tow ride on the dolphins fin. The 30 minute dolphin swim and interaction at Dolphin Lagoon is extra and you will need to book this. Have you been to Discovery Cove? What’s your favourite bit? Let us know in the comments below.